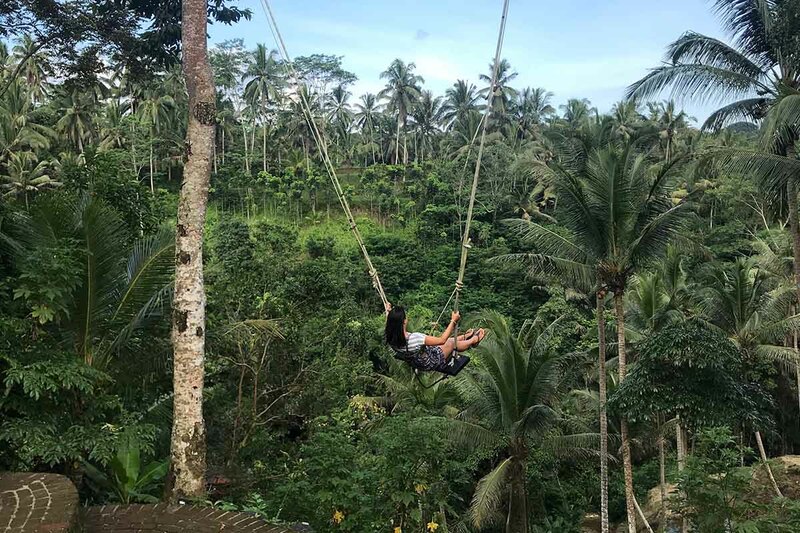 Nicole stayed in Outsite Bali for 1 month, checking out the best places to work from, Ubud, surfing, and fully testing out our newest coliving space in Canggu. Check out what she got up to. Nicole Fu has been living in Outsite Bali for the past month. Here’s what the day-to-day looks like for an Outsite guest living in our location, from working and playing, to those weekend adventures. About Nicole: Nicole helps tech companies big and small develop marketing strategies. She’s currently living the 4-Hour Workweek, learning Python, and trying to be an effective altruist. I was never particularly drawn to Bali. I’ve heard of its beauty, but also that it is to Aussies what Cancun or Cabo is to North Americans. And though I started my digital nomad journey in Chiang Mai, I’ve never purposely planned my travel around “nomad hot spots” like Koh Lanta, Las Palmas de Granaria, or Medellin. I finally bit the bullet since I was nearby in Singapore in February, and had a longtime dream of becoming a surfer gal. I started doing some research and found out that Bali wasn’t just Bali, Indonesia. There were all these cities within Bali, and I had to pick one! I easily struck Kuta out since I don’t like crowded, touristy cities. I considered Seminyak, which also seemed touristy but perhaps a little less, and was concentrated near the beach (so I could get by without scootering?). I knew a Russian couple in Jimbaran who highly recommended it. 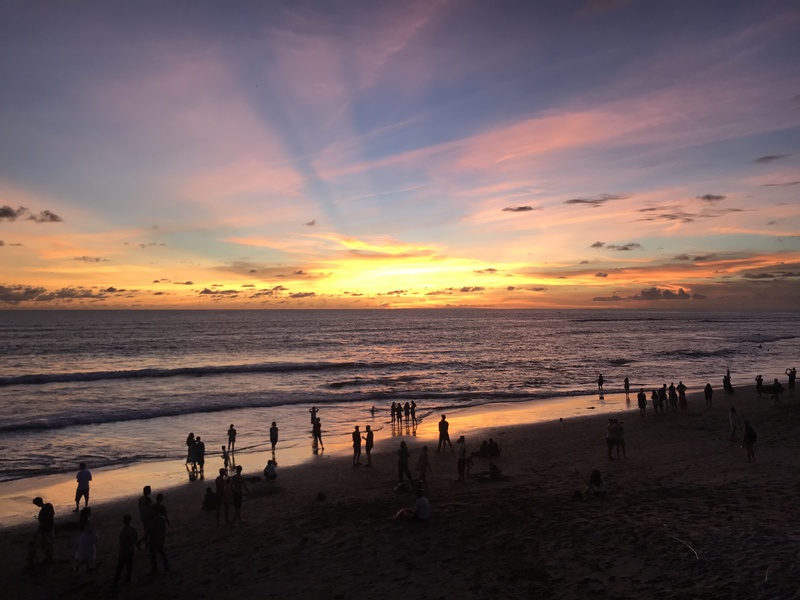 They did lots of research themselves and chose Jimbaran for its safety, lack of crowds, proximity to ATMs and beaches, distance from the volcano, lack of mosquitoes, and lower rent. Says a lot that it’s their second time back there, too. Then of course there’s Canggu and Ubud. At the time, they were #1 and #4 on Nomad List (currently #2 and #9). I love yoga, and Ubud¹ seems beautiful with its plethora of rice paddies, but I struck it out because of my surfer dreams. It was a toss-up between Jimbaran and Canggu. Both were by the beach. Jimbaran was supposed to be safer, but it seemed more complicated to scooter around. And though I planned to hunker down in work, I was a bit concerned about the lack of community in Jimbaran. So there it was: Canggu. Now, do I stay in a guest house, villa, or Outsite? A Montrealer girlfriend who lived there for a year told me that guest houses are 3.5 million/month on average, and tend not to have a pool. A villa is 7 million/month on average, is fairly nice, with a pool, and you work from home. Then a Kiwi guy friend who’s been living there for 2 years recommended me a guest house a few minutes walk from the coworking space Dojo, and the beach - score! But - of course there’s a but - the most recent review on Google mentioned bed bugs, and I’ve heard stories of break-ins at guest houses. Did I want to risk these 2 things? I finally decided to go with Outsite. Every single person I’ve ever met who’s rode a scooter or motorcycle has gotten into an accident, big or small. Take a scooter lesson when you arrive. Avoid driving on gravel or puddles. Wear shoes, or at least slippers with friction. Wear a helmet!! Canggu is notorious for bag snatching, and girls especially fall culprit, and especially at night. In my 1 month there, I only scootered once at night. Other times when out drinking, I’d share a taxi. A girlfriend was groped 3 times, twice when on her scooter, in her 2 months there. Every so often there’ll be women posting on the Canggu Community Facebook group about being punched and robbed while scootering, or even slashed. I’m lucky that the worst that happened to me was having my gas siphoned 3 times (I think it was at Dojo’s car park). Once there was a jacket under my seat, which was also taken. Bottom line: be very careful. It’s the first time I’ve used a money belt under my clothes. “Bali Belly” is a thing. Most foreigners suffers from it at some point. It can be in the form of diarrhea etc, but for me it was an intense stomach pain every afternoon. I attribute this to the water served at my (typically Western) lunch. Always ask and pay extra for bottled water, and come prepared with meds like charcoal. I loved the routine that I established in Canggu. I’d wake up without an alarm and meditate on one of the cabanas by the pool. Have a delicious smoothie bowl and french press coffee (FOC!) while waiting for HQ to start at 9am. Work from Outsite till lunch, then head to Dojo or a cafe. I typically use the Word Hard Anywhere app to find cafes to work from, but discussing which cafe we worked from that day was such a common topic at Outsite that I had a DIY crowdsourced map of cafe recommendations. Note: Wifi in Bali is pretty bad. Dojo claims to have the best wifi at 200mbps. Take a workshop with Learn with Locals. Make bracelets and eco-friendly skin care bracelets, learn to draw mandala art, and more. Surf at Echo Beach or Batu Bolong Beach. Both are great for beginners and have surfboards and lessons available at the beach. Deus ex Machina, while not by the beach, is fun on Tuesdays when they have Taco Tattuesday, and Sundays when they have live music. Tanah Lot is a rock formation with a temple just half an hour from Outsite Bali. It’s the #1 rated attraction on Google for Bali, and is a popular spot to watch the sunset. Try to go on a clear day, and you can even walk out if it’s low tide²! Seminyak is home to Double Six Beach, Motel Mexicola, Revolver Espresso, and lots of hotels. Denpasar is the capital, which many would say is worth a miss. If you happen to be there to extend your visa, or are curious, visit Puputan Square, Pura Agung Jagatnatha, and Pasar Badung. For more about these sights, head here. Uluwatu has stunning cliffside drops, and better beaches than Canggu. I would have liked to go to Dreamland Beach and Single Fin but didn’t get to, and recommend skipping the Turtle Conservation and Garuda Wisnu Kencana Cultural Park. I did go to Uluwatu Temple and saw the traditional Kecak Dance (100,000 and only at sunset), and highly recommend it! Thinking of working remotely from Bali? Or have you been there and are feeling the nostalgia? Ask or reminisce with Nicole on Twitter or Instagram. Check out Outsite Bali here. ²Download the Magic Seaweed app to find out when is low tide. Low tide = great for surfing and for visiting Tanah Lot!